For those in need of something different than what the west coast has to offer, the town of Biloxi Mississippi has just what you need. Sure, it isn’t as crowded or as flashy as Vegas is, but this is one more reason to hit Biloxi and take a break from the neon and noisy casinos of the Strip. Sort of a Gulf Coast Casino Mecca, Biloxi has a number of high-profile resorts available where plenty of gambling value can be found. Most of the casinos are located on the Beach Boulevard and you can easily walk from one place to the next, although you might not feel like it since you can find at least one table with fair enough rules at almost every casino. 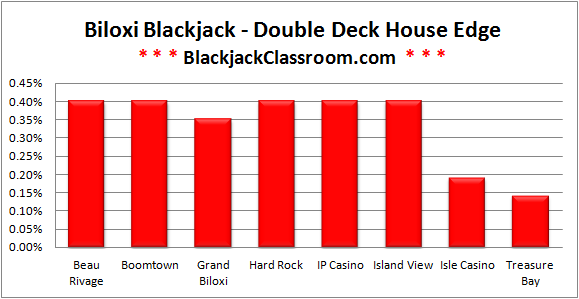 So, if you’re visiting Biloxi, check out the following short breakdowns on the type of Blackjack games offered at Biloxi casinos and the rules and table limits. This way, you can save time when you get to town, instead of running from one place to the next looking for the best games to play. Card counting can be pulled off easier than Vegas, as the heat is not as high, although you should definitely be careful with your exposure. The best odds are, normally, found in double deck games, some of which have very cheap minimums with 3:2 payouts, which you can hardly find anymore in Vegas. Unlike Vegas, Beau still has enough 3:2 tables to go around, just like most Biloxi casinos. However, this doesn’t include single deck games. The entrance is filled with 6-deck continuous shuffle tables, which should be definitely avoided, but once you’re outside the first table area, you can find double deck games with $25 minimums. At the double deck games, the dealer hits on soft 17, you can double after split and split up to four times, while the penetration goes to 50%. There are also six deck games on the left side of the pit that have the same rules but with surrender and splitting aces allowed. The six deck games have a $15 minimum during the week, while weekends they cost $25. There are also $10/15 single deck games with 6:5 payouts, which you shouldn’t be bothered with at all. Tuesday’s is locals’ day, so you might find a $5 minimum at this table, if you still wish to try it. Boomtown is one of the few places in Biloxi where you can still find double deck games with a $10 minimum, although weekend play may come at a higher price. At the double deck tables, the dealer hits on soft 17, and you can double down after you split. However, you can’t re-split aces nor surrender, so you might want to check out Harrah’s or Treasure Bay if you want good rules at a $10 table. And apart from double deck Blackjack, you can also find 6 deck shoe games at the casino with limits that range from $5-10, depending on the time. The same rules apply here, i.e. the dealer hits on soft 17 and you can double after splitting, but you can’t re-split aces nor can you surrender. Due to the small number of tables (22) it’s easier to draw heat here than at a larger casino. Harrah’s Gulf Coast is always frequented by high-limit players, as it offers great rules for those who want to spend more. But if you’re looking for low-limit games, you can also find double deck, 6 deck, and 8 deck tables with $10, $25, and $5/10 minimum limits, respectively. All games have the same rules: dealer hits on soft 17s, you can double after split, re-split aces, and there is no surrender available. There are also $10 minimum single-deck tables, but these have 6:5 payouts so they are a definite NO. On the other hand, if you’re looking for more high-stakes play, you can find a high-limit salon with a $200-500 minimum. Here you can find six deck games with very good penetration and 3:2 payouts. The dealer stands on 17s, you can double after you split and you can re-split aces up to 4 times. The heat here is lower than on the main pit, but playing is much more expensive. Being a famous spot in Biloxi, the Hard Rock offers both bad and good games. 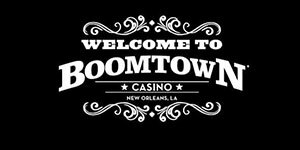 The casino has one of the top double deck games in Biloxi with 3:2 payouts where the dealer hits on soft 17s, you can double after splitting and surrender, but you can’t re-split aces. However, the minimums bet is $50, but you can always try to take it down to $25 on a slow night. And apart from the bad 6:5 single-deck games, you can also find shoe games with 6-8 decks, where you can double after splitting and re-split aces, but you can’t surrender. They even have the dealer stand on soft 17s on their 6 deck game. The minimums vary according to weekday, and can range from $10-50. In terms of card counting, you can do well at the Hard Rock with low-radar play, but you can also find the same rules for cheaper elsewhere. 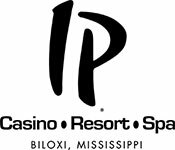 Unlike a number of Biloxi casinos, IP keeps its focus sharp on low-limit players, offering some of the cheapest, although not the best, games in town. The single deck 6:5 tables are the worst in Biloxi, as the dealer hits on soft 17, there’s no doubling after splitting, no re-splitting aces, no surrender and you can only double 10s & 11s. So, whatever you do, avoid this game at all costs. The biggest part of IP’s Blackjack offer are the $25 minimum double deck tables, where the dealer hits on soft 17s and you can double after you split, but there’s no surrender or re-splitting aces. There are also 6 deck tables with $10 minimums, with the same rules but re-splitting aces allowed. If you want to try counting, the double and six deck games are your best options. There are also two $5 tables. Island View has got good double deck games with 3:2 payouts and $15-25 minimums, depending on the time. Dealer stands on 17s on these tables and you can double anything and double after you split but you can’t re-split aces. However, if you visit make sure you’re at the right tables, because there are also single deck and double deck games with 6:5 payouts in the pit. The penetration goes to 50% at the 3:2 double deck tables. The casino also has 6-8 shoe games with $5-10 minimums, 3:2 payouts, dealer standing on 17 and doubling on any two cards allowed. The dealers are very friendly at these tables and the heat is not high, but you have to keep a close watch. High-roller games weren’t available at the time, but instead low-limit tables were converted upon request, so there’s little info on counting conditions on high-stakes play. The Golden Nugget is the rebranded Isle Casino resort in Biloxi, with much of the old action kept and new variations introduced. Double deck games with $25 minimums are the standard here and on these tables the dealer stands on soft 17, you can double after splitting and re-split aces, but there’s no surrender option. There’s also single deck 6:5 blackjack, which mostly tourists frequent. Apart from the standard offer, Golden Nugget also has six deck shoe games where the dealer stands on soft 17 and you can double after split and re-split aces, as well as 21+3 Blackjack tables. But all in all, the Nugget doesn’t have quite the best game in town, so you might want to take your counting skills elsewhere. 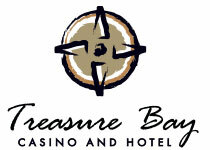 Treasure Bay is one of the few casinos in Biloxi that offer 3:2 payouts on tables where dealer stands on 17s and one of the cheapest places in town. There aren’t as many varieties, since it’s a small casino, but there is definitely value to be found. The double deck games can be played for as little as $10, but there are also $25 tables available. Doubling after splitting and re-splitting aces is allowed on double deck games, but the deck penetration is mostly 50%. There’s also a 6 deck game with the same rules, where the minimum is $5 dollars most of the time, regardless of the weekday. If you’re looking for low-limit play with good rules, Treasure Bay is the place to be, but it can also get hot since it is isn’t the most spacious of places. Biloxi, Mississippi (MS) – Every once in a while I like to get away from my usual playing areas and experience something a little different. I’ve found that Biloxi down in Mississippi offers a refreshing change from what I typically find on the west coast. The pace of life is a little slower and the people are a little more friendly… or should I say a lot more friendly? Coming from Southern California and having spent the majority of my professional playing hours in Las Vegas, I quickly fell in love with the unique atmosphere found in the Gulf Coast Casinos of Mississippi. Blackjack in Biloxi – Up to this point I’ve stayed at Beau Rivage, Hard Rock and Treasure Bay, but I’ve played blackjack at most of the other Biloxi casinos as well. I figured I’d do a little write up about Biloxi blackjack to help you pick out a decent game without having to waste time running around scouting the area. Below you will find details on the various types of blackjack offered at the Biloxi casinos including the number of decks used, table rules (good and bad) and table betting limits that I’ve seen. Card counting information such as dealer penetration and levels of heat at each casino is reserved for my card counting class. Note: The taller the red bar, the larger the house edge you’ll be fighting against. Biloxi offers a variety of different blackjack rules depending on where you are. 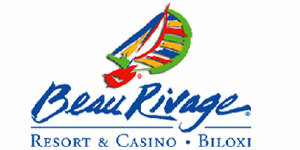 You can find single deck, double deck and multi-deck games at almost every casino along the Gulf Coast. You’ll also notice a mix of hitting and standing on Soft 17 as well as surrendering at certain shoe games. Below I’ve done my best to outline the table rules at the casinos I’m familiar with.